Britain’s Financial Technology industry is a world-leader: it supports over 61,000 jobs and generates billions of pounds of revenue for our economy. Its development has kept our financial services sector on the cutting edge of innovation, and has increased competition and choice in banking, helping customers and businesses to get better services. Fintech is an industry that we are rightly proud of, and one that we in government have backed as it has gone from strength to strength. We have taken action to support alternative lenders and the digital currency sector, we have supported an industry-led initiative to give consumers better access to their bank data, and we have appointed Britain’s first special envoy for FinTech, Eileen Burbidge, to support our engagement with the FinTech sector and showcase our FinTech expertise around the world. And now the next step: later this month on 22 February we will be launching ‘FinTech Week’ — a week-long programme of events focused around FinTech. This week has two key aims. The first is to celebrate our status as a leading global FinTech hub. We have a lot to be proud of: Britain’s FinTech market generated over £6.5bn in revenue last year; our FinTechs attract significant investment, with around £550m in capital invested in 2015; and we have a strong pool of talent and the right government and regulatory regimes to help FinTechs thrive. It is important that we promote the attractive environment the UK offers — we want to be the first choice destination for FinTech firms and those looking to invest and work in this sector. Second, we know that if we are to remain a leading global FinTech hub, we need to go further, be more progressive, more ambitious, more far-reaching. 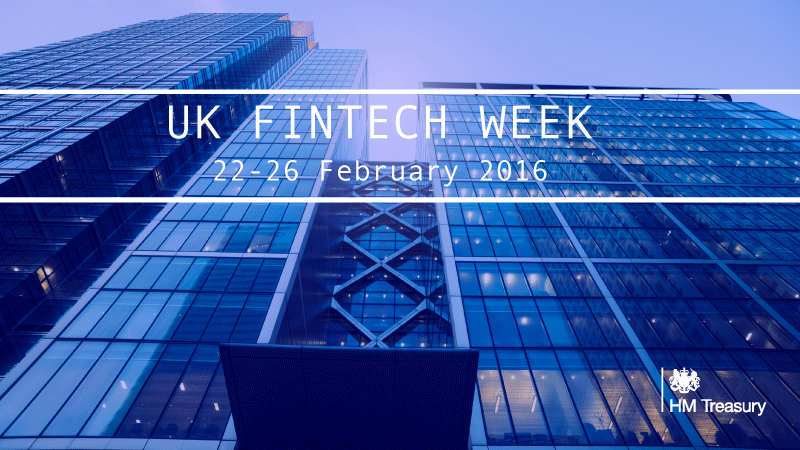 As part of FinTech Week we want to start a discussion around what more we can all do to support UK FinTech. This could include further action from government or regulators, fostering greater collaboration between FinTechs and traditional financial services firms, and greater adoption of FinTech solutions by businesses and consumers. I welcome involvement and participation from all parties with an interest in FinTech. This blog will be updated with any further details as the week’s events take shape. I look forward to celebrating this exciting sector with you and hearing your views on how we can ensure the UK’s competitive and dynamic environment for FinTech continues to be world-leading.